Bishop Denis Nulty, Bishop of Kildare and Leighlin celebrated Mass in Newbridge Parish on Sunday 3 February to acknowledge the work of the parish food bank ‘Share Food’. 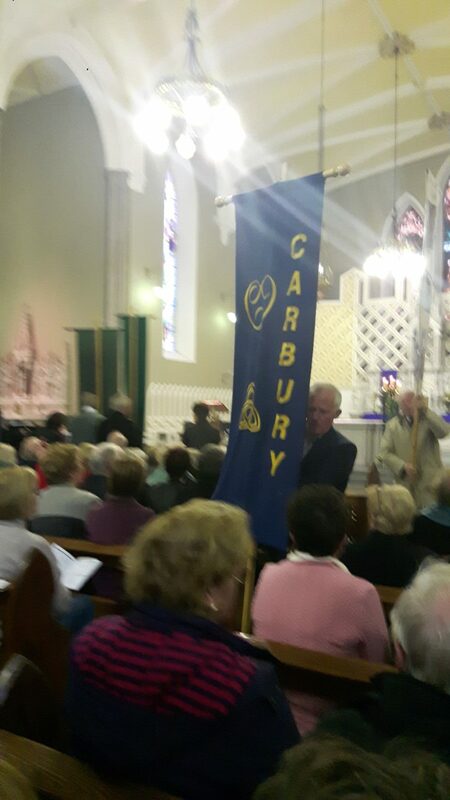 The ‘Share Food’ volunteers and members of the parish pastoral council joined Bishop Nulty and parish priest, Father Paul Dempsey for Mass in Saint Conleth’s Parish Church to mark the fifth anniversary of the service. 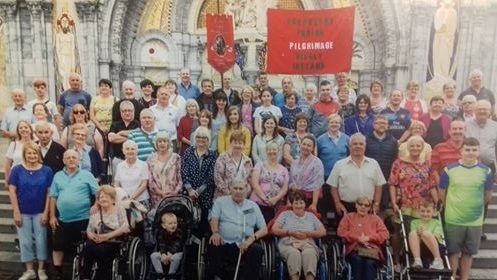 In his homily Bishop Nulty said, “Five years ago, a need was discerned by Newbridge Parish Pastoral Council. That need was to share what we have, often in abundance with those who are struggling or living on the edge. 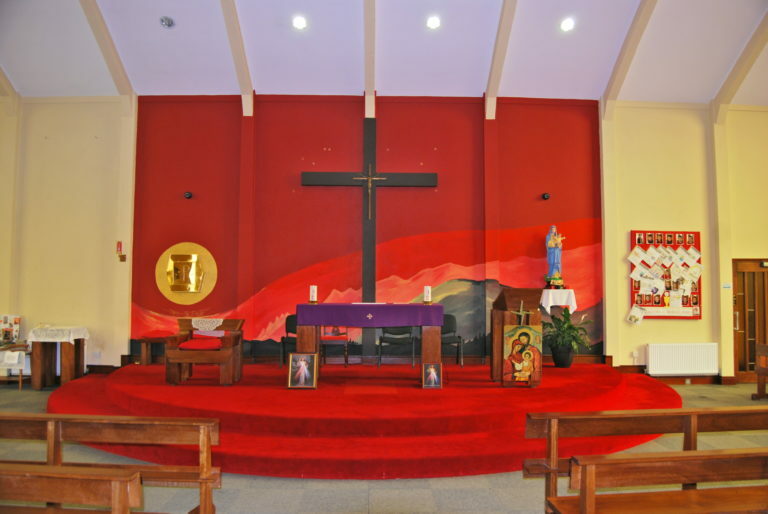 That was Lent 2014 as churchgoers were encouraged to bring food donations to weekend Masses. “Feeding the hungry” is the gospel mandate, and we are all challenged to do it not once but many times. Bishop Nulty said that the celebration of the Share Food service offers an opportunity to ask how we are as a society, as a community now, as a parish now, five years later. He said that Pope Francis will suggest the consumerist society we all live in, has our lives ruled by throwing out good food and that we have a fixation on ‘Best Before’ and ‘Use By’ dates, something our grandparents would never have done. He said that he read Our grandparents would never have done it. I read after Christmas that one-third of the groceries we stockpiled at Christmas ended up being thrown out. 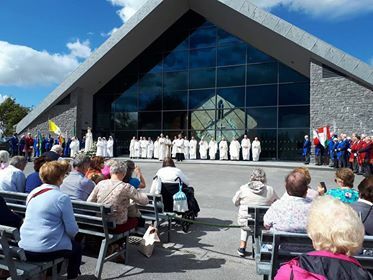 The bishop went on to say, “What happens here in Newbridge Parish is modelled on what has been happening with the Capuchins on Church Street, and indeed in Graiguecullen, Carlow. But it is a huge compliment that the Parish Share Food Project here in Newbridge continues to go from strength to strength. And why shoudn’t it, not everyone feels the recovery that we read about in Dublin all the time. And despite the economic recovery there, the numbers of homeless people are astronomical. Four thousand children woke up Christmas morning in emergency accomodation. CSO figures suggest one in five children still live below the poverty line. This is unacceptable. The number of migrants arriving in Ireland exceeds the number of places available through the Direct Provision scheme. And this is why the ‘Share Food’ initiative must be applauded, encouraged and supported. The needs out there remain huge. The rising tide lifts some boats, but risks sinking others. 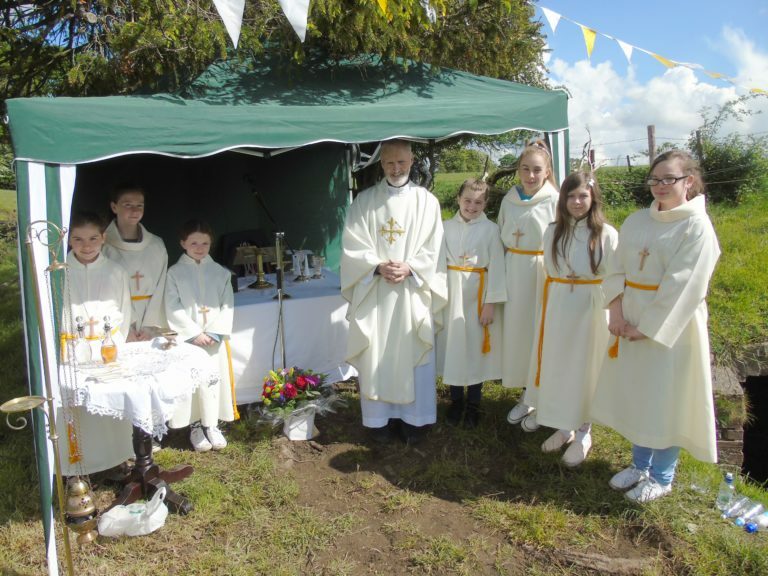 “Bishop Nulty referenced the very first newsletter notice around the ‘Share Food’ service which was an appeal for volunteers in the weekly parish bulletin of January 2014. 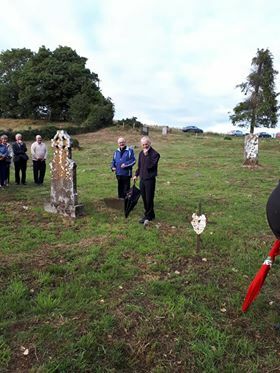 The appeal ended with a quote from John Arnold van Hengel “the poor we shall always have with us but why the hungry?’ The response to the call for volunteers was overwhelming and the service continues to go from strength to strength five year’s later. Bishop Nulty said that St. Paul is eloquent speaking to the Corinthians unpacking that word ‘love’. Love is volunteering, donating and contributing. Love is recognising the generosity of a community, of a parish towards a worthwhile project. 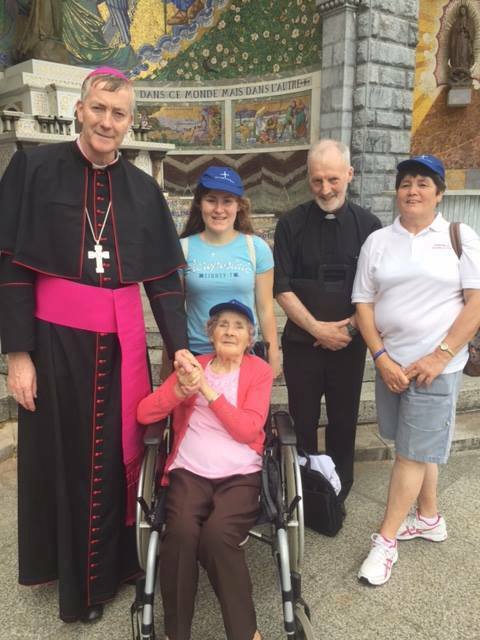 Bishop Nulty went on to pay tribute to all those who are involved with the ‘Share Food’ service, saying, “When you in your work with ‘Share Food’, in your volunteering, in your contributing and donating, in your packing and distributing, you are in touch with the flesh of Christ. Christ in the person who needs the food parcel; Christ in the family living below poverty line; Christ in the couple evicted from their flat. Pope Francis might add “we can give a voice to those who suffer from hunger, and this voice can become a roar that shakes the world”. I suggest that voice has become a roar here in Newbridge and I congratulate all who are in any way involved with Share Food’. The Newbridge Parish ‘Share Food’ service operates all year round helping families to make ends meet in the Newbridge Area with over 100 parcels of food being distributed each week. Food is donated at all weekend Masses by parishioners and collection points are also available in the local supermarkets. 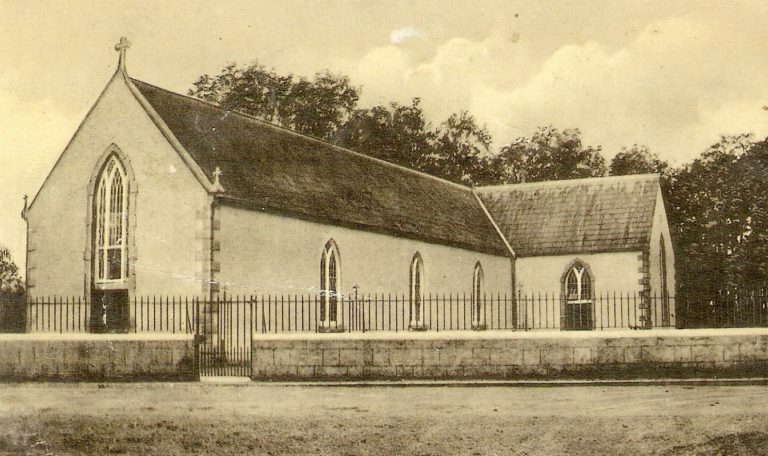 For more see www.newbridgeparish.ie.